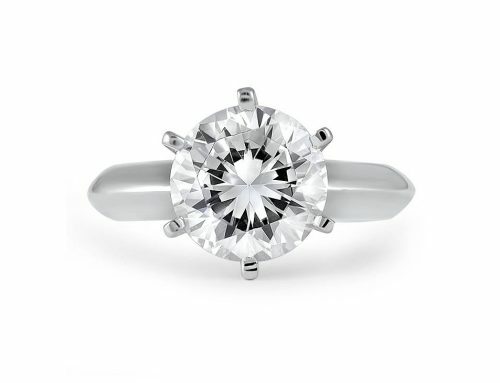 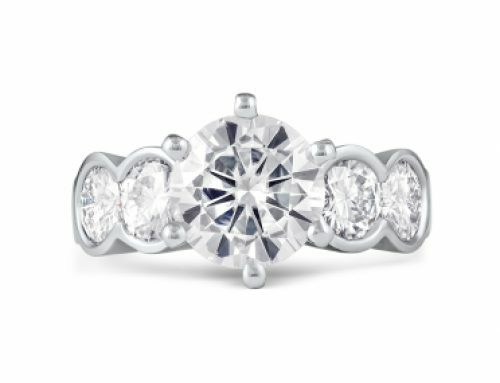 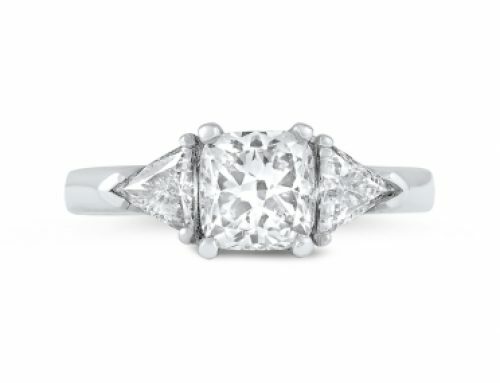 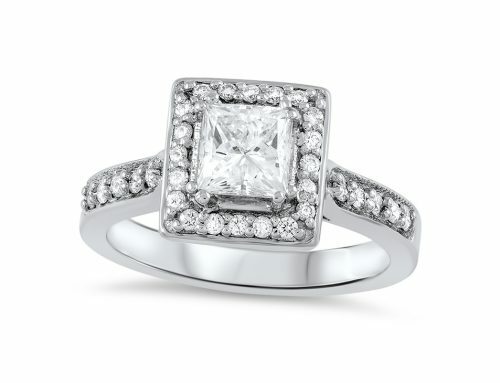 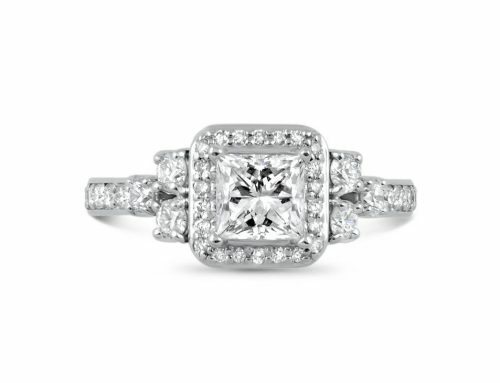 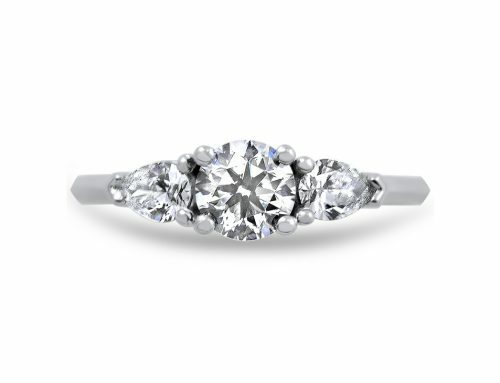 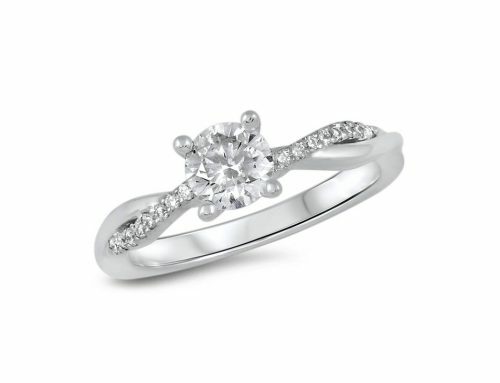 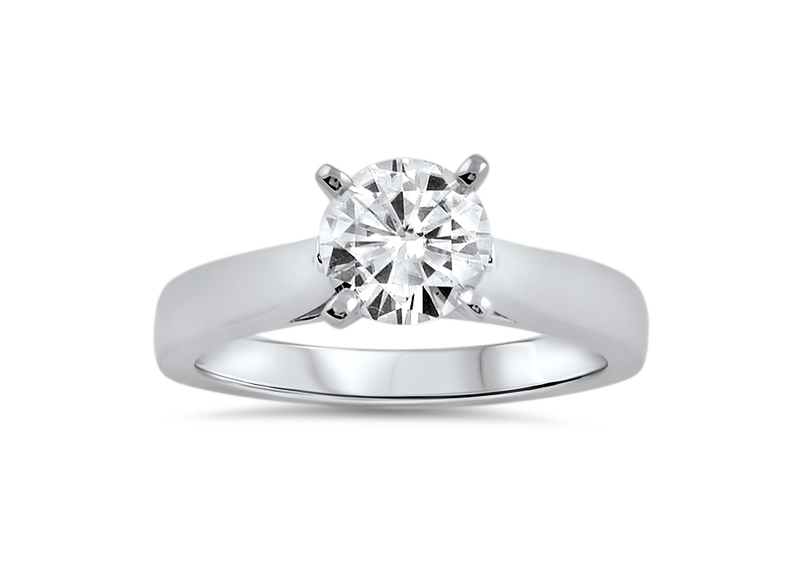 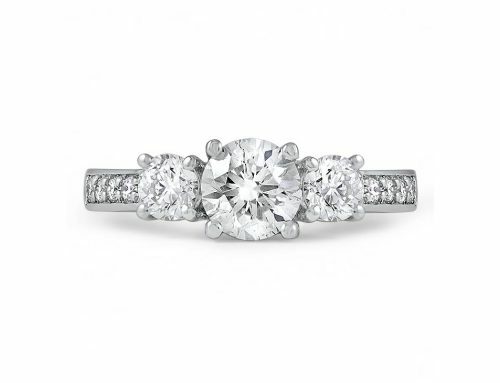 1.25 ct moissanite set in a classic 14k white gold engagement ring. 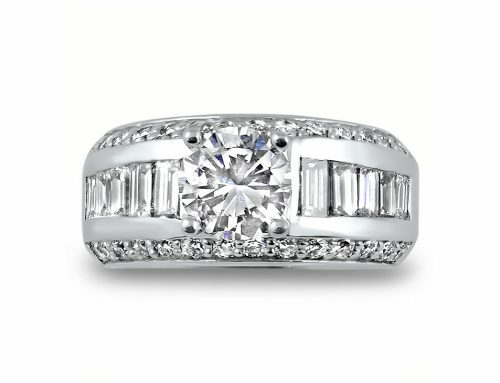 My client came to me with a straight-forward request. 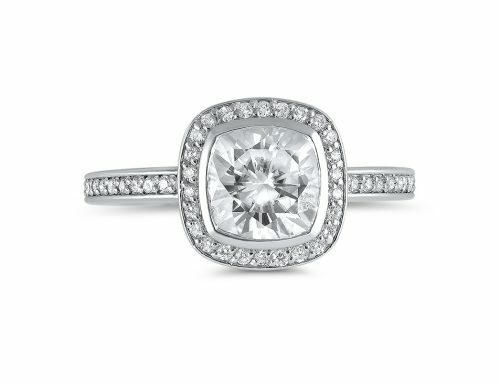 He had purchased a moissanite stone in his travels and wanted it set for his soon-to-be fiance. 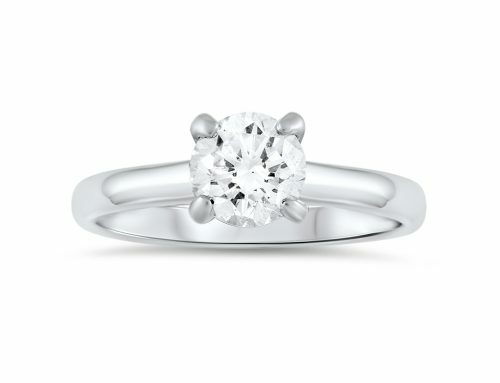 He sent me several pictures of cathedral-style engagement rings. 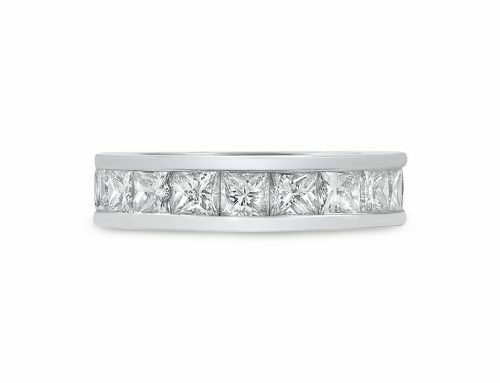 We discussed how high he wanted the stone set and how curved he wanted the band. 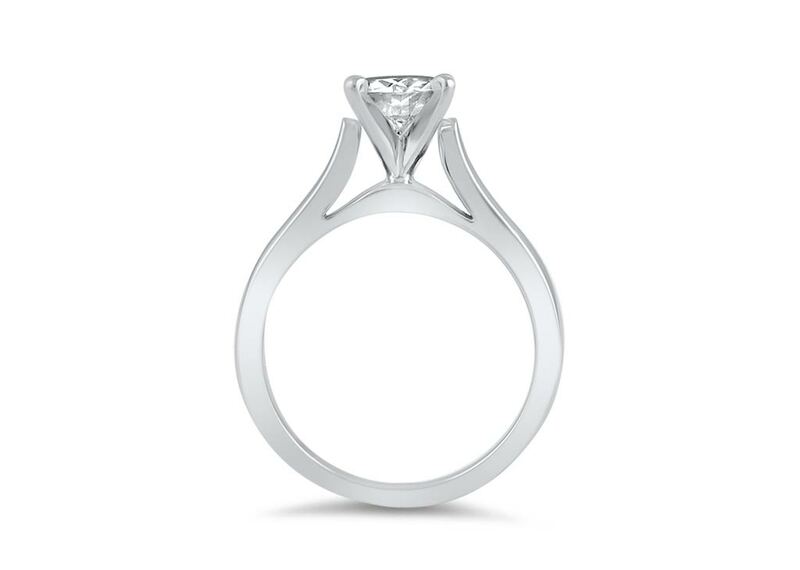 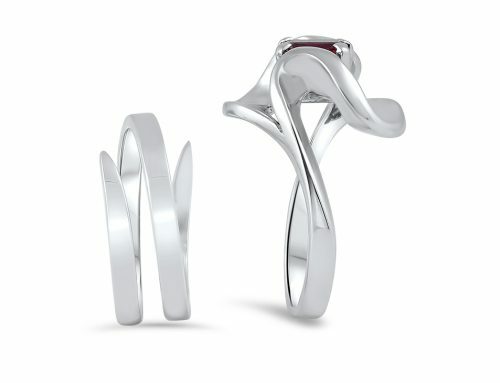 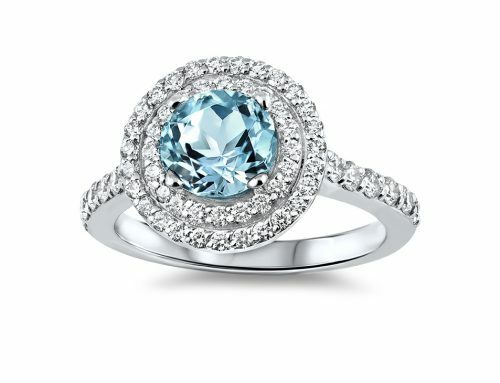 It was a simple matter of creating this custom setting that fit his vision perfectly.